Green transitways transform the character of a transit street, providing large planted areas along and between tracks or bus guideways. They represent one of the best examples of the coordinated pursuit of mode shift, water sustainability, and quality of life goals. 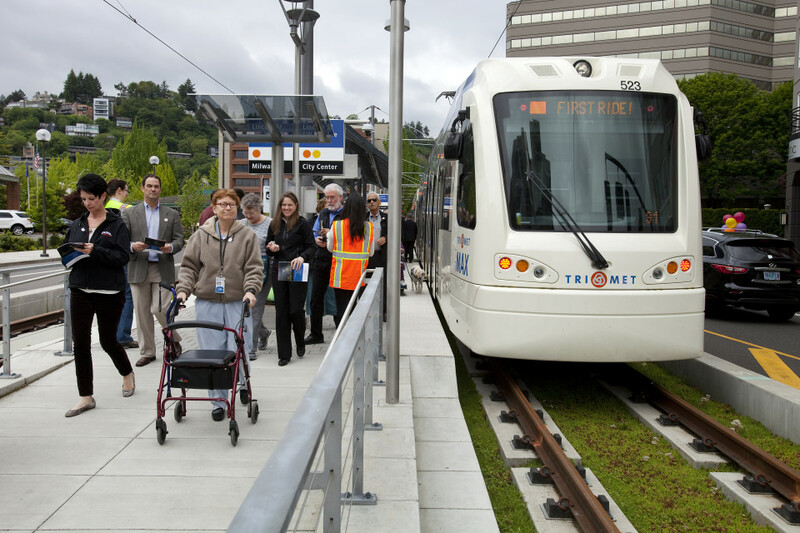 Green transitways create an attractive human and natural environment, complementing transit investments in a cost-effective way. “Low Impact Development (LID).” US Environmental Protection Agency (2015). Garrison, Noah, and Karen Hobbs. Rooftops to Rivers II: Green Strategies for Controlling Stormwater and Combined Sewer Overflows. National Resources Defense Council (2011). “Managing Urban Runoff.” US Environmental Protection Agency (2015). “Why Green Infrastructure.” US Environmental Protection Agency (2015). Planted transitways can be used for fully separated bus or rail transitways, both center- and side-running. They can be integrated into comprehensive stormwater management strategies. A large permeable surface provides substantially improved stormwater infiltration and retention. Soil provides noise dampening benefits. Green transitways can support rain gardens and other higher biomass or high absorption areas. The addition of large areas of green on a street provides a major local amenity, enhancing the public space along the street. Provide a continuous green space between tracks and adjacent road beds. 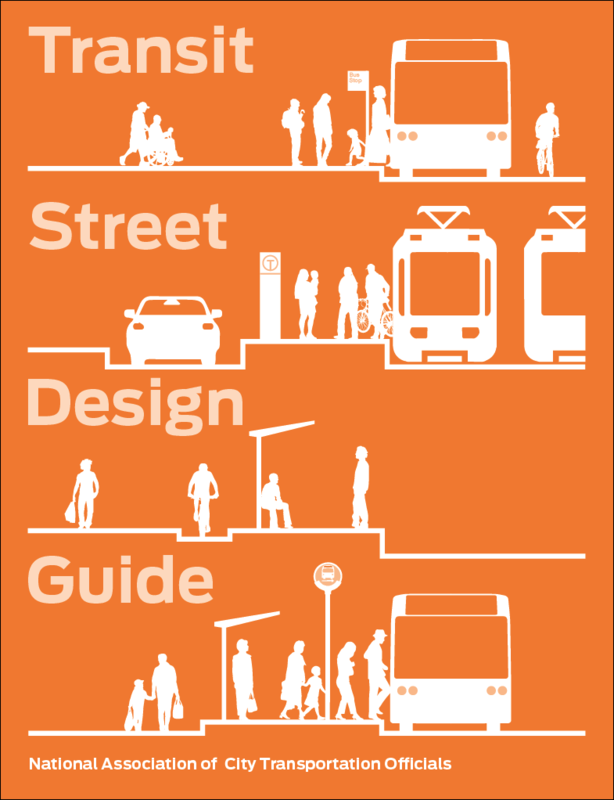 Discontinue green space at intersections and pedestrian crossings, and provide accessible paths for pedestrians through the transitway. 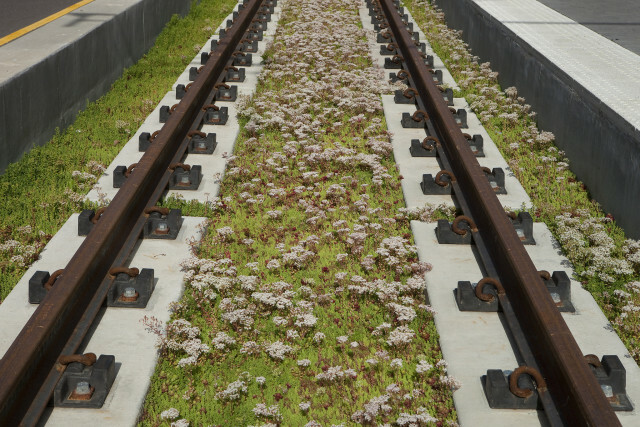 For rail, tracks can be completely set within a surface covered with grass or other low-maintenance, low-lying, non-trailing plants such as sedum. Anchor rails or concrete bus guideway on solid material under the surface. Tracks should be enclosed in a noise absorber, filled with a porous base layer, covered with an anti-root membrane, and covered with a porous paving grid that is then planted. Schreiter, Hendrikje. 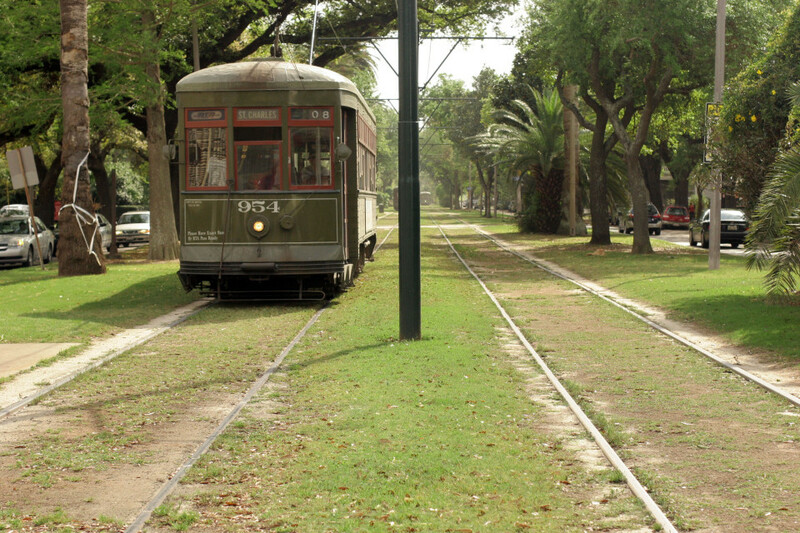 Green Tram Tracks: The Advantages of Implementing Vegetation Systems in Tram Tracks. Institute for Agricultural and Urban Projects at the Humboldt-University, Berlin: 2010. 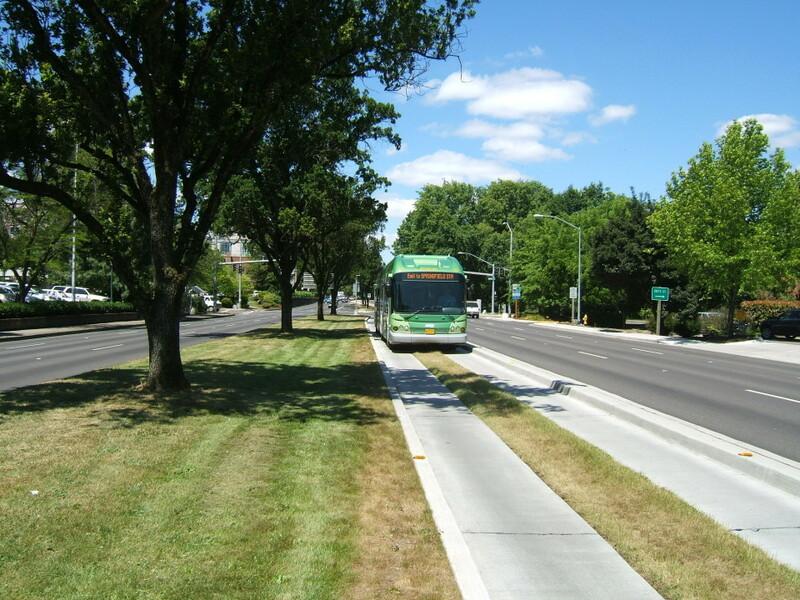 For buses, grass can be planted between and adjacent to concrete running paths or guideways for bus wheels. Choose plant types based on durability, geographic and location-specific climate conditions, and water absorption capacity. Green transitways can be designed as swales that drain stormwater from the street, with the swale surface at a lower grade than the adjacent roadway. In this case, deeper water penetration should be permitted through. In most climates, rails must be elevated to avoid flooding.